We have all seen bleach stenciled t-shirt tutorials before, but it is not often to see one that features such a terrific and well executed design. A problem I hear of a lot from potential clients, is that they only have their logo in a low resolution format. Or worst yet, I don’t even hear it, I am just sent a logo ripped straight out of a website, and asked to create shirts with it. Just recently, a friend asked that I create shirts for his business Rebath – Bathroom Remodeling. He only had a low resolution .jpg, but needed vectors that could be used for his t-shirt design, as well as camera-ready art for an assortment of vendors (everything from business cards and letterhead, to vinyl graphics on his companies trucks, and signage for his storefront. Of course, I could have sent him to one of those site on the web that offer to vectorize your artwork for $100, and then provide you with some half-assed file that has been traced with Illustrator. Instead, I offered to the vectorize the logo for him. Now he has an assortment of files, in vector format, that can be used for anything from his website, to billboard advertisements. So, now I am wondering, do others really require this service, and if so, what are you willing to pay for this? I would to hear your thoughts! Post links to other sites that offer this service, and I will try to match the lowest price that can be found. Also, feel free to contact me if you are in need of logo vectorizing. There is a great tutorial over on instructables.com. 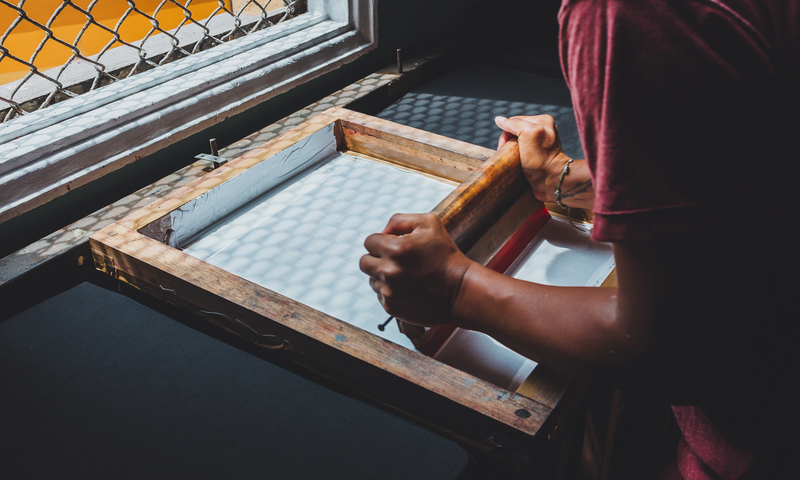 The tutorial covers, printing the design to butcher paper, cutting out the design, ironing on the stencil, and inking the design with screen printing ink. Worth a look, and save it to your bookmarks. The other day, a colleague of mine, told me about some free fonts I should check out. Well, as a professional designer, and admitted font whore, I am generally fairly skeptical about free fonts. I have played the free font game for years, seldomly finding ones that I like, let alone use. So when I heard about these fonts, I wasn’t really chompin’ at the bit to look them over. But being recommended by a friend and colleague, I decided it wouldn’t hurt to take a few minutes and look through the collection, and who knows.. maybe I would find one I like, or at the least can manipulate into something suitable. Well, not only did I find one I liked, I found 20….. While I created this site to focus on Silk Screening and the more complex methods used to create quality printed work, the most popular content to date has been the Photoshop patterns that I released. And even though this was just a low resolution set, the quality was recognized and downloads have continued to be steady throughout the months. 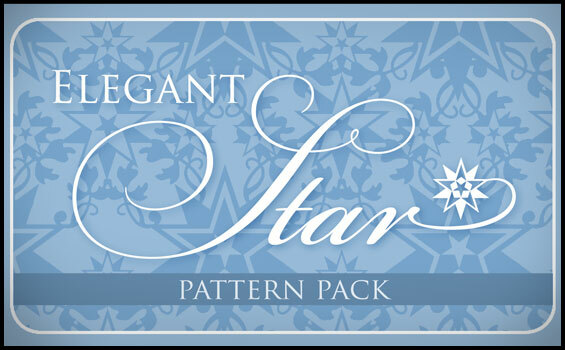 Along with the free download, the high-res pattern pack was met with similar enthusiasm, and for low price of $4.99, has been a steady seller. Well, to mark our 5000th download of the free pattern pack, and as a THANK YOU to all the people who have visited Screensilk.com and have used the patterns in their own work, I am releasing the full Hi-Res Pattern pack for absolutely FREE.